Poland made the case today (19 October) for the “Northern Gate” gas pipeline project, designed to bring gas from the Norwegian shelf across Denmark to Poland. 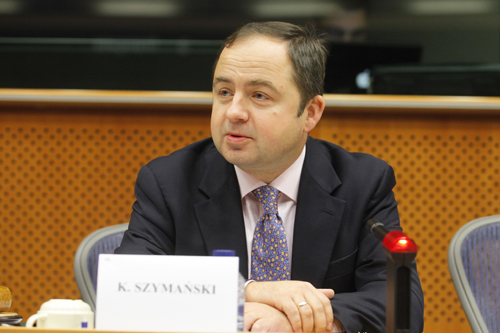 The Polish government’s Plenipotentiary for Strategic Energy Infrastructure, Piotr Naimski, told a hearing in the European Parliament that Poland wants to replace supplies from Russia with supplies from the West. The project, also known as “Norwegian corridor”, aims at bringing 10 billion cubic metres of Norwegian natural gas per year (bcm/y) to Poland by 2022. From there, some of the Norwegian gas could be sent to other countries in Central Europe, such as the Czech Republic, Slovakia, Hungary, the Baltic states and even Ukraine. Currently, Poland consumes 14 bcm/y of gas. The total amount of 10 bcm/y doesn’t look huge in comparison with the projected capacity of a project Poland opposes – the North Stream 2 pipeline, which has a projected capacity of 55 bcm/y. The project’s history dates back to 2009. 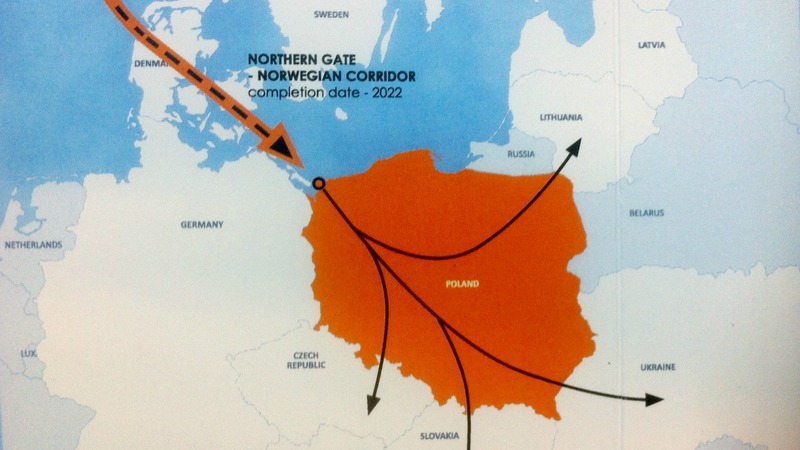 In 2013 the Commission granted the status of “Project of common interest” for Baltic Pipe, one of the components of the “Northern Gate”. In 2015, the Connecting Europe Facility gave a grant for a feasibility study. Commission Vice-President in charge Energy Union Maroš Šefčovič, who spoke at the hearing, said that the “initial thought” of the EU executive was that this was a very important project. A feasibility study will be ready by the end of the year, and next year, the “open season” will be held, meaning that commercial entities will express their interest in buying gas from the new route. Naimski said that Russian gas in Poland was more expensive than in Western European countries, which are more distant than Poland. He said that his country wanted security of supply at the lowest possible price and that it saw the project as a competitor to Nord Stream 2, which also aims at selling gas in the Central European market. Poland wants the European Union to ban the construction of a second pipeline to pump Russian gas to Germany under the Baltic Sea, alleging it undermines the bloc’s strategic interests and violates competition rules. The target date for completing the project is 2022 and by 2019 Poland wants to reach the “point of no-return” for the completion of the project, the Polish official explained. In comparison, the completion of Nord Stream 2 is scheduled for 2019. Meetings at all political levels, including at the level of presidents, have been held with Norway and Denmark over the project, Naimski said, adding that on the political side, there were no obstacles for the project. However, the Norway’s Ambassador to the EU, Oda Helen Sletnes, emphasised that what was important was that the project be commercially viable. She said Norway exported 114 bcm in 2015, the country being the second largest exporter of gas to the EU after Russia, and that the production is expected to remain stable for the next 20 years. To choose the pipeline option the industry needs assurances, the Norwegian diplomat stated. Vibeke Pasternak Jorgensen, Deputy Permanent Representative of Denmark to the EU, also said that the market should be the main driver in decision-making. The feasibility study will enable a decision on the future of the project, she said. euractiv.com asked Naimski what had prevented the project from being realised earlier, as there had been two previous attempts in the recent past. He explained that the problem had been the long-term gas contract of Poland with Gazprom. Once the contract expires in 2022, this shouldn’t be a problem, he said. Šefčovič said that sometimes similar infrastructure projects need “strategic assistance”, and that the EU executive will make its decisions, one the feasibility study and the open season will shed more light on.